We were asked this question the other day and it’s a great one to get you thinking about what you truly value in life. So, before we go any further, why not take a couple of minutes to answer it for yourself? However, as they took time to think about it, their answers moved on to less tangible things. Peace of mind, job satisfaction, happiness, love and being loved. What was most interesting was that no one mentioned the finite asset we all possess, albeit in varying amounts. And we’re not talking about money here (!). It’s the one we all seem to take most for granted, even though we never know exactly how much more we have left. As many people have said, there are few certainties in life. While several different things have been suggested as certainties – taxes (!) and change being the most popular – one easily tops the list. Death. At some point in the future we’re all going to die. Sorry, that’s just the way it is. Our time here is finite. But, by a supreme stroke of irony, we never know exactly how finite that is. And this applies whether we’re 18 or 80; in good health or seriously ill. We never know when our time will be up, until it’s up. Despite its finite nature, we just don’t seem to value our time. We’ll put lots of effort into deciding how to spend our hard earned cash or, perhaps, how to use our valuable holiday from work. However, we just don’t seem to apply the same effort to deciding how we more generally use our time. Whether it be today, tomorrow, this week, month or year. The simple answer is that we don’t tend to value things we just “have.” Things that are there without us having to think about them. Put another way, if you’ve always had food on the table and a roof over your head, then you’d never stop to think about them. But what if you were living hand to mouth on the street? You’d see them – and value them – completely differently. And time falls neatly into this category. One of the things that those nearing the end of their lives repeatedly say is that they regret how much of their lives they’ve wasted. Not pursuing the things that made them happy, rather than doing what was expected of them. Spending too much time at work. Not expressing their feelings or speaking their minds. We know how easy it is for life to overtake us. To get stuck on the treadmill with no hope of getting off. And, yes, we all have to pay for the roof over our heads, to put food on the table and all the other necessities of life. But – and it’s a big but – it’s a complete myth that you can only do this by giving the best years of your life to a job you hate. Even worse, one that someone else has told you to do. Just take a look round at all the people who love what they do, have a great quality of life and all the material things too. So are we saying that you should throw it all in and skip off happily into the sunset? No, of course not. As we so often say, make it easy on yourself and start small. Notice how you spend your time today. All the things you do automatically without ever thinking about them. Aimlessly surfing the net, checking social media, doing the crossword / sudoku or slumped in front of the television. 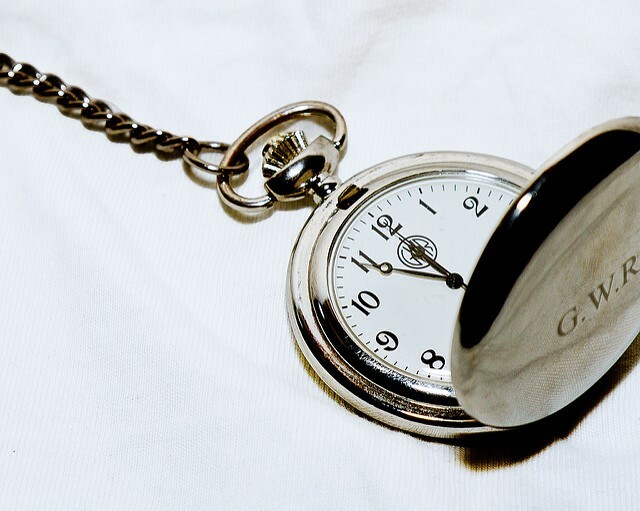 It may surprise you to find out exactly how much of your precious time they take up. Let alone whether they make you feel good or help you get where you want to go. And then it’s simply a case of making a conscious decision. Whether to carry on doing them or to do something else instead that does help you. This doesn’t mean that you have to be “doing” all the time and only pursuing things that produce some measurable result. It’s simply a case of being more deliberate in what you do, rather than just filling time by default. If watching television helps you relax, great, but choose the programmes that help you do this rather than sitting aimlessly in front of it all evening channel hopping. If you want to check up what’s happening on social media fine, but give yourself a set period of time to do so. Then turn it off and get on with your life. You’ll quickly notice that you’ll suddenly stop doing all sorts of things you’d always done without ever thinking about them. Even better, you’ll find some new – and old (!) – interests to take their place. And, as you start to mould your life to one that suits you better, all sorts of other opportunities turn up. Before you know it, your life has transformed and, even better, without you having to force it. You’ve used your time wisely, rather than frittering it away.